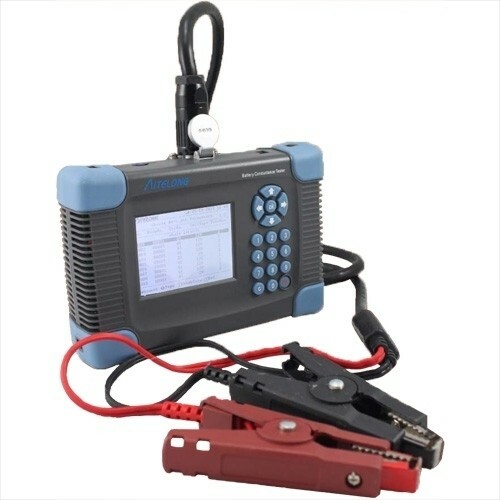 SAT-AC Series battery Conductance Tester is a multi-function and portable digital data storage measurement instrument to test battery running condtion and parameters quickly and precisely. it can display and record many key parameters for multi-groups like as battery string and each battery cell's voltage, conductance, connecting strip resistance, battery's internal resistance and so on; offer the ability to distinguish battery's condition effectively and accurately; compose with intelligent PC measurement analyzing software, user can track battery's decay trend, and alarm beforehand to help technician and administrators process according to status. • Transmit the testing data to PC by Micro SD card to carry out analysis of battery according to the history data. • Display value of voltage, conductance, internal resistance. • Enhanced over voltage protection function. • Automatically recover the over current protection function. • Use the SOC chip to improve the tester stability. • Powered by a large capacity Lithium call battery or adapter. • Low battery warning to guarantee precision testing. • Automatic testing mode for user's convenience. • Test the battery voltage and conductance online. • Battery conductance and voltage out of range alarm. • All the battery parameters are marked by group No. to make the user manage the data expediently. • PC software analyze the battery to carry out tracking "historical analysis" of battery system.